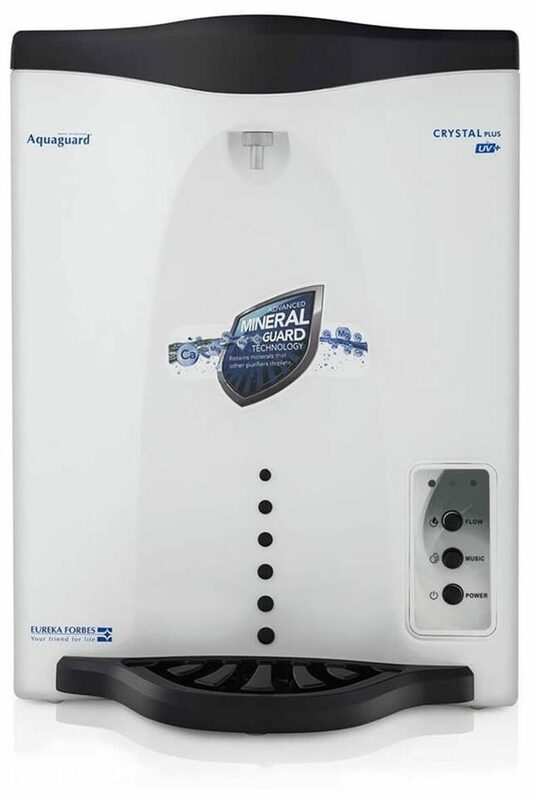 Aquaguard Crystal Plus is a UV water purifier best suited for water having a low TDS, which does not taste salty. Its stunning European look complements your kitchen aesthetics with a touch of class. Its unique e-boiling+ technology eliminates disease causing bacteria, virus and protozoa ensuring that every drop of water you get is as pure and safe as water boiled for 20 minutes. Only Aquaguard, with Advanced Mineral guard technology removes dangerous new age contaminants like lead, pesticides, while retaining essential natural minerals. 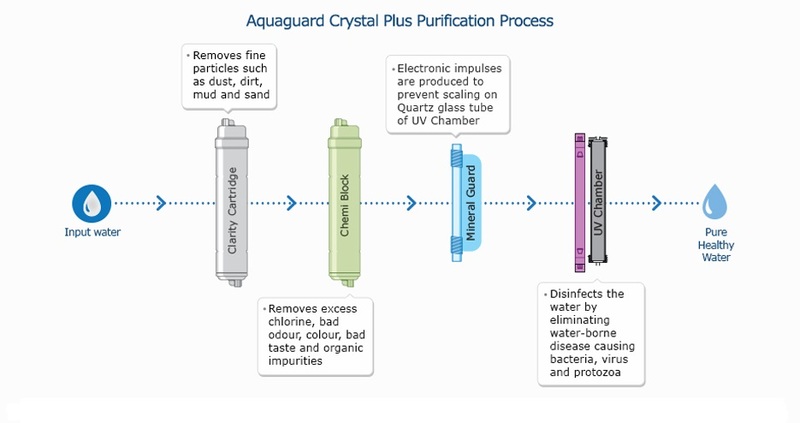 Why to buy an Aquaguard Crystal Plus UV Water Purifier?